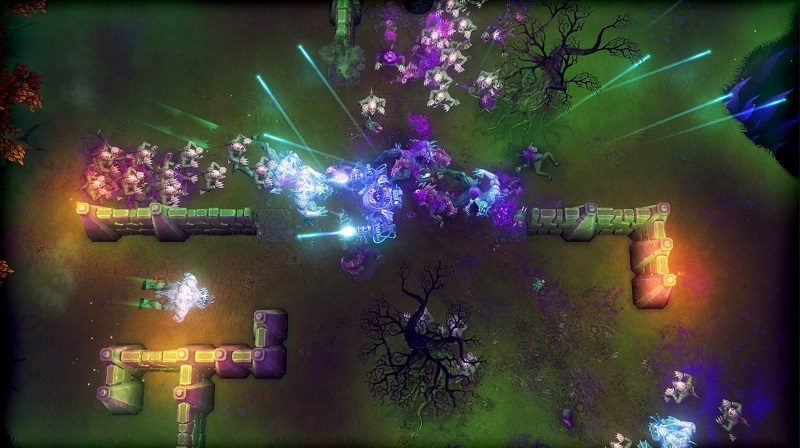 Tesla Vs Lovecraft is the latest Twin-Stick-Shooter by 10Ton’s Ltd rand while it may seem reminisce to previous twin-stick-shooters released by the Finland based studio, such as Crimsonland and Neon Chrome, it’s actually vastly different. 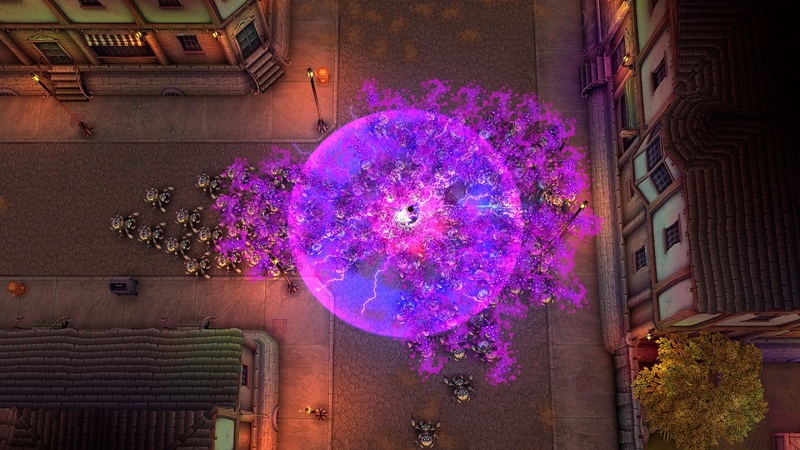 In this case Tesla Vs Lovecraft features a narrative that includes its own ‘comic-book’ styled cut-scenes with voice-acting and a unique power-up that allows players to power-up the a robot for devastating descruction. Of course at its core Tesla Vs Lovecraft is a twin-stick-shooter and it begins when Tesla demonstrates his electic generator to the world; of which causes Lovecraft, a novelist, to go out of control and summon demons to the world – or so the storyline would lead you to believe. With the Police unable to do anything Tesla uses his new inventions to defeat the endless demons that approach him; to whic the player must control Telsa through various levels, of which are played out across a map, in order to ward off the enemy threat. This is where the Twin-Stick-Shooter gameplay that (in my eyes at least) 10tons is known for as players control Telsa to defeat the hordes of enemies that appear; in this case the left analog stick is used to move while the right analog stick is used to aim the weapon. To make Telsa Vs Lovecraft different from other Twin-Stick-Shooters players are able to use Telsa’s electric filled backpack to ‘warp’ across the map in short distances as well as use abilities to ‘detonate’ electric explosives or blades into enemy directions. These new abilities, of which are new to the Twin Stick Shooter, add a new style of evasion to what is already a well tuned genre. This new ability, combined with old-school elements such as weapon pick-ups and upgradable (mission based) perks means that Telsa Vs Lovecraft is fine balanced twin-stick-shooter experience with a decent story. This experience is also expanded with the robot that Telsa can build; as during later levels – when demons become more stronger – players are able to locate parts in the map and call in (like a titanfall) a giant robot for added fun. There is nothing more enjoying than destroying numerous difficult beasts easily and swiftly with the robot. 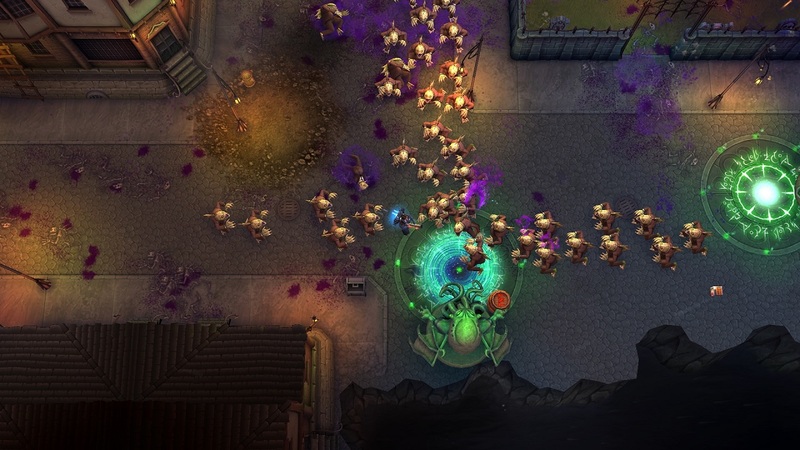 Tesla Vs Lovecraft may seem like a simple twin-stick-shooter on the outside but underneath its ‘indie-styled’ appearence is a twin-stick-shooter thats challenging, refined and fun to play with a comical story to boot. Tesla Vs Lovecraft is available for numerous platforms including the Nintendo Switch.